Dr. Michael Johnson truly loves the challenge of rebuilding the damaged dentition. By rejuvenating smiles he improves the quality of life for his patients, not only functionally but emotionally as well. His work is never boring and every day is exciting since no two patients are alike. Each patient is given as much time as needed to ask questions and fully understand the treatment options before treatment is started. Dr. Johnson and our staff are committed to listening to patient concerns and making sure these concerns are addressed. You can be assured you will receive the highest quality dental care, no matter how complex or simple your treatment may be. Dr. Johnson spent eight years at the University of Washington, getting both and undergraduate degree in Zoology and a Doctorate of Dental Surgery, finishing in 1982. He practiced general dentistry in downtown Seattle, with his father, until 1989. His interest in more complicated dental treatment led him to complete a three-year residency in prosthodontics at the Mayo Clinic in Rochester, Minnesota, from which he graduated in 1992. He is board certified in prosthodontics and maintains a private practice in Bellevue and Spokane Washington limited to crowns, bridges, implants, dentures, partial dentures, and cosmetic dental enhancements. 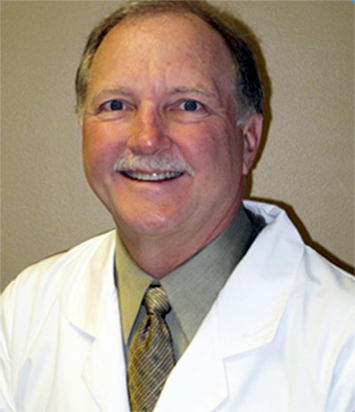 Dr. Johnson’s primary interests are restoring function and beauty to the troubled dentition. He uses his artistic and engineering skills to rebuild mouths broken down due to disease (tooth decay or gum disease), trauma, or tumor-removal surgery. Dr. Johnson attends several continuing education programs each year, primarily focused on complex dental care. Not only does he attend conferences, but he is also frequently called upon to give continuing education courses to general dentists and dental surgical specialists, both locally and nationally, and guest lectures at the University Of Washington School Of Dentistry. He has authored articles on restoring dental implants in respected national journals. As our patient, you are the beneficiary of Dr. Johnsons 30+ years of dental practice and more than 20 years of specialty experience. You deserve to be treated by the prosthodontist that trains other dentists! Dr. Johnson is a Diplomate of the American Board of Prosthodontics, a member of the Seattle/King County Dental Society, Washington State Dental Society, American Dental Association, American College of Prosthodontics, International College of Prosthodontics, the Academy of Osseointegration, the American Academy of Maxillofacial Prosthetics, and an honorary member of the International College of Dentists and the Pierre Fauchard Academy. He is actively involved with the U of W School of Dentistry, both as past president of the dental alumni association and a board member of the Dean’s Club. Dr. Johnson grew up in Bellevue, Washington. After graduate school, he decided to return to Bellevue with his wife, Melinda, and their two children, and start his practice. He opened a satellite practice in Spokane, Washington in 2014 to help those patients with more complex dental needs on the east side of the state. When not involved with dentistry (clinical practice, preparing lectures, and giving continuing education courses) he and Melinda enjoy traveling, golfing, musicals, and friends.